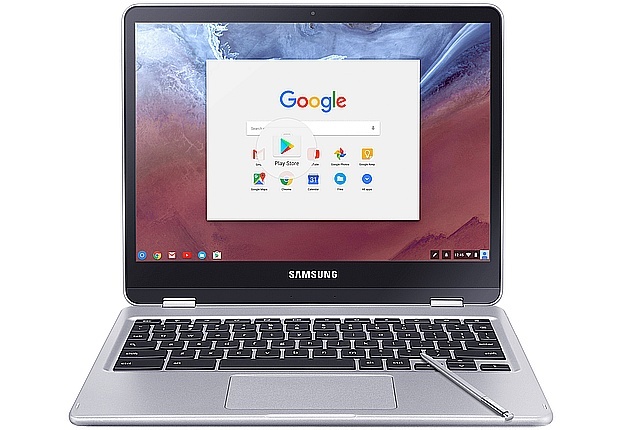 This Intel Core m3-6Y30-powered Chromebook with pen support and a 360-degree rotating touchscreen can be finally pre-ordered for $549.99 USD, about $100 USD more than its ARM-driven sibling known as Samsung Chromebook Plus. Samsung Chromebook Plus and Samsung Chromebook Pro were unveiled together in January, during the CES 2017 trade show. Unfortunately, the cheaper Plus variant has been available for purchase for a while, but those who wanted the Kaby Lake-powered Pro had to wait until now. The 12.3-inch, Intel Core m3-6Y30-powered Samsung Chromebook Pro is now finally up for pre-order on Amazon. The model that will hit the market on May 28 has a quite long version number - XE510C24-K01US. Its list of specs also includes 4 GB DDR3 RAM and 32 GB internal storage. 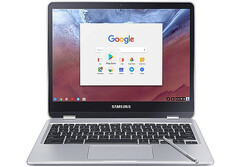 Last week, we heard that the release of this Chromebook is getting slightly delayed due to Android app compatibility issues. Although it was unveiled as a portable "Designed for Google Play," it seems some Android apps were not running as supposed. Fortunately, it looks like the problems were ironed out promptly and now those interested can pre-order the Chromebook Pro via Amazon. The price tag reads $549.99 USD, with free shipping included as well.